EAFRD support for a young organic farmer from Sardinia is helping to reinforce the competitiveness of his business and the local rural economy, whilst also reducing risks of negative environmental impacts on the region’s vital natural resource base. Agri-environment schemes co-financed by the EAFRD are one of the CAP’s main tools for sustainable agriculture. These greening schemes hold the biggest EAFRD budget at EU level and farmers (young and older) throughout Europe are using agri-environment payments to help run their businesses. Andrea Loche from the Italian island of Sardinia is an example of a young farmer who is participating in a typical agri-environment scheme. Mr Loche's objectives focus on using the RDP support to maintain his land in state which allows it and his livestock to be officially classified as organic by Italy’s national certification body. This classification allows him to sell his products at a premium price because people know that it is high quality and produced safely on a farm which takes care of and respects natural resources. 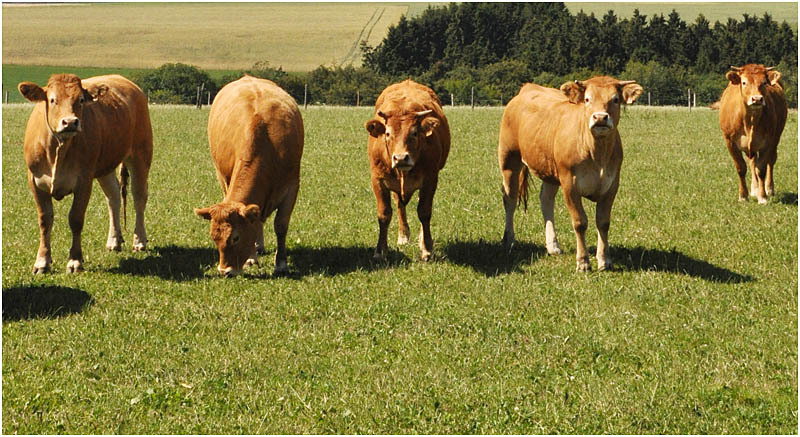 Agri-environment payments of €62.86/Ha compensate for higher costs that can be involved with farming land and rearing animals in this organic way. Organic agriculture techniques used include rotating fodder crops so that different crops grow in different fields each year. This is good for the soils since it make sure that every field is sown regularly with plants like clover and legumes which put natural nutrients such as nitrogen back into the soil. This requires less agri-chemical inputs. Agri-environment support from the EAFRD for Mr Loche’s free-range Limousine cattle business has helped support the viability of his family business and led in part to him playing a lead role in setting up a new producers group for organic food businesses from Sardinia. By working together, the smaller businesses can enjoy the benefits that a bigger enterprise has. This helps to promote the sale of a wider variety of local organic products across a larger number of market outlets. Agri-environment schemes provide win-win benefits for EU farmers, consumers and our natural resources. Collaborative approaches to strengthening the supply chain of organic produce from smaller farms provide development advantages for rural areas.